The pitfalls of getting older is our skin starts to get fine lines, age spots, and the dreaded wrinkles. So what is a lady suppose to do? Sit back and let nature take its course or fight it? I will choose the later, I will fight and use products that help my skin look younger. There are many safe facial products on the market that can help people achieve younger looking skin or just keep your skin looking good. Dr. Song 50% Lactic Acid is one of these products. 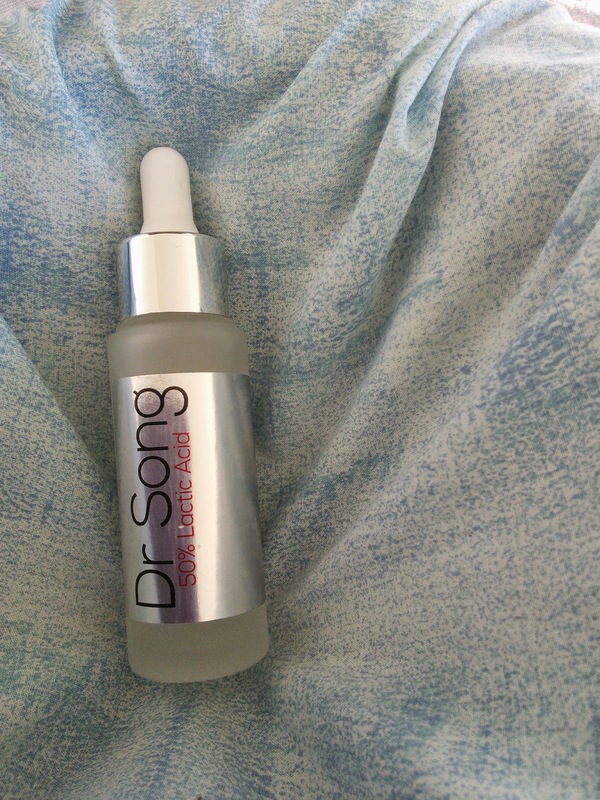 I was sent a bottle of Dr. Song 50% Lactic Acid to try on my skin and do a review on. So what does this product promise to do? This product is a type of chemical peel made from Lactic Acid. This facial peel when used properly can improve the look of fine lines, wrinkles, acne scars, age spots, and other skin discolorations. I love that Dr Song Medical products are made in the USA and is FDA compliant and a provider of professional products that focus on natural ingredients. Dr. Song quotes "Chemical peels were once reserved exclusively for the doctor's office, a place that can sometimes be scary -- and expensive. Today, chemical peels have evolved to include take-home peels and kits, allowing you to reap their benefits in the privacy of your own home, while relaxing in your favorite bathrobe." So how do you use a facial peel? The instructions for the product told me to apply the product to clean skin for 1-2 minutes and then rinse off. When I applied the product to my skin, I felt a tingly sensation but this is lactic acid so that is good. After I rinsed off the product, my skin felt tight but smooth. I did not experience any redness or irritation. It is recommended that you not expose the skin to the sun so wear sunscreen. Dr. Song 50% Lactic Acid is a home use facial peel so it can take a month until you see results. When you purchase the product you do get an email with instructions on how to use the peel. I also got a card with the product for their website too with further instructions. I just wished that their was instructions on the bottle itself so when I use the product I know I am using it correctly. The first time I used the product, I used it on my smile lines and a week later I notice they were less noticeable. I used this product a second time and decided to try it around my eyes, as that is where the fine lines are showing up. I also used it on my neck too. I left the product on for 4 minutes, as you know the saying "more is better", but that was a big mistake on my part. My skin got very red and chaffed around my eyes the next day. My neck area was fine though. I guess the skin around my eyes is more sensitive. So follow the instructions that come with the product and use it around the eye are with caution. 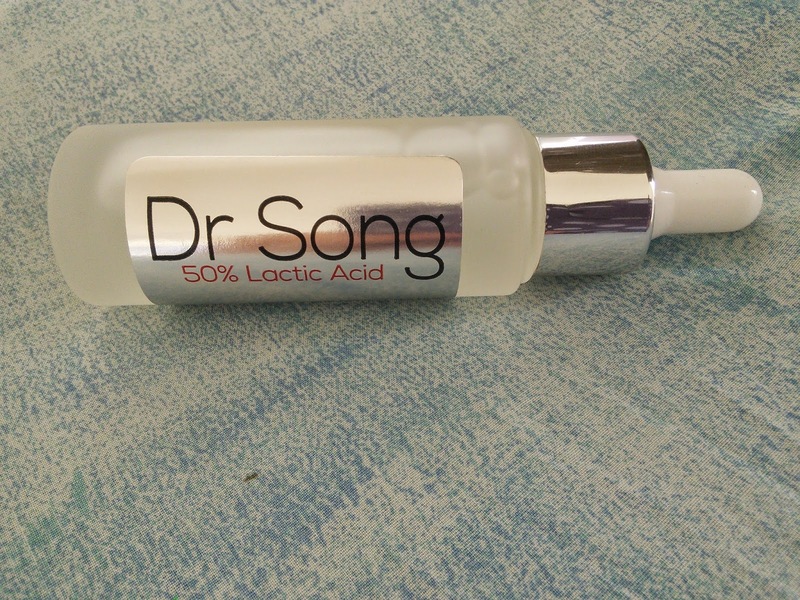 For more information on Dr. Song 50% Lactic Acid and to purchase, click on the below links. looks like a good products. the wrinkles keep coming! I love the way this product makes my skin feel so smooth! I even had my adult son try it. He loves face products! I have not tried this specific Dr Song product but the ones I have tired I love! I'm lucky that I don't really have any facial wrinkles. I have uneven skin coloring though. I'll have to look into their products. I love that you posted what happened when you did NOT follow the directions. Thanks for your review. It IS true that more is not always better. I also left a peel on a little too long once, and it will burn and sting on sensitive skin. It DOES work when you use it as you are supposed to though. I would love you try something like this on my skin. I am all for staying youthful looking as long as possible. I've always wondered what a facial peel would be like, so the fact that you can give yourself one at home is perfect. Better yet, I love that you didn't experience any irritation from this one. You sure do review a lot of products I would not have otherwise heard of. Funny...whenever I hear of 'lactic acid', it makes me think of when I ran track...and your legs would get tired from a lactic acid buildup. That was a really random comment. I think of that too! I have never tried a face peel, I would be nervous about it because I have such sensitive skin. I do like the idea of it though, so maybe I will give it a try in a smaller spot someday and go from there!